Your entire donation is TAX DEDUCTIBLE! - Tickets include a buffet dinner, music, dancing & raffle tickets. 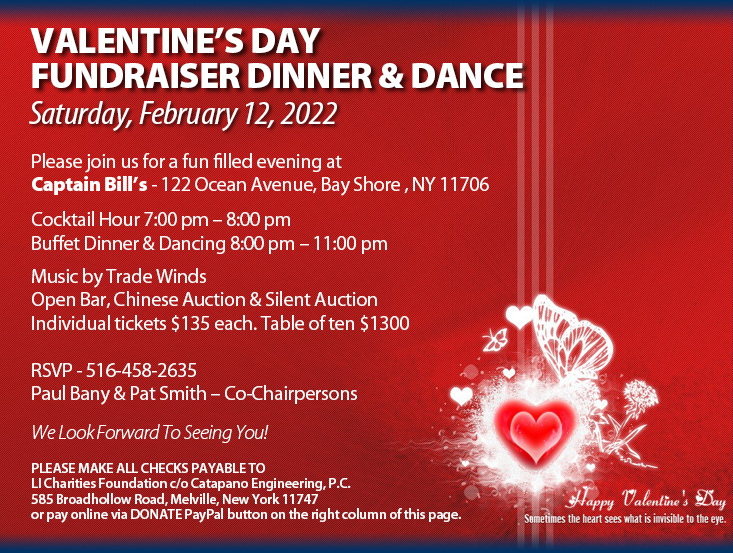 - This event will also feature a silent auction of such items as: overnight stays, restaurant gift certificates, season passes to games, off Broadway plays. We always have a great response from the local business community and all money goes for a good cause. Designed by Mihai Margineanu » m-Graphix © Long Island Charities. All rights reserved.